I’ve gone back and forth for quite some time debating if I was going to make this public, but I’ve come to know many of you so well that I want you to be involved in our lives. Some of you may have guessed what I’m going to say. As many of you know, Kiska came to us as a foster. I had told myself over and over that I would not have two female pyrs at the same time. However, I was okay with a short term female foster, especially if it was a puppy. One morning, I woke up and tried to get out of bed, but Kiska wouldn’t let me. Every time I tried, she’d lay on top of me or gently use her paw to push my head down. After about 10 minutes, she let me get up and I was immediately wobbly. One of my meds lowers my blood pressure and I can have sudden drops, causing me to pass out. If I had gotten up when I tried, I know I would have passed out. I counted it as part fluke and part her just being near me. But then she alerted again. And again. Then her alerts started broadening. She was alerting my heart rate and monitoring my anxiety. She was at my side when I felt dizzy. She tried to pull me out of buildings when I started to disassociate. At about this time, I was being inundated with articles about gluten detection dogs and became curious. Kiska has always had a wild nose, so I started to wonder if she could learn. Until this point, I had never considered a service dog. Even though I had many physical and mental health conditions that impact daily life and I have a med list longer than a grocery list for a family of 10, I felt I wasn’t “disabled enough”. I look fine. I look healthy. Can you imagine the looks / comments I’d get if I walked around with a service dog? I could hear the chants of “fake, fake, fake” in my head. I started to push the idea aside. Kiska’s alerts have started to get earlier and earlier. She used to alert just a few seconds before I passed out, but about a week ago she alerted almost 5 minutes before I felt the drop. In that time, she was able to lead me to a safe spot so I didn’t crack my head on something (again). A few months ago, I decided to officially consider Kiska a service dog in training. She is absolutely perfect in public, although you wouldn’t assume that from how she is at home ? We’re perfecting her alerts, training new tasks, and starting a gluten detection program. I’m hoping that in the next year or two, she will be fully trained. 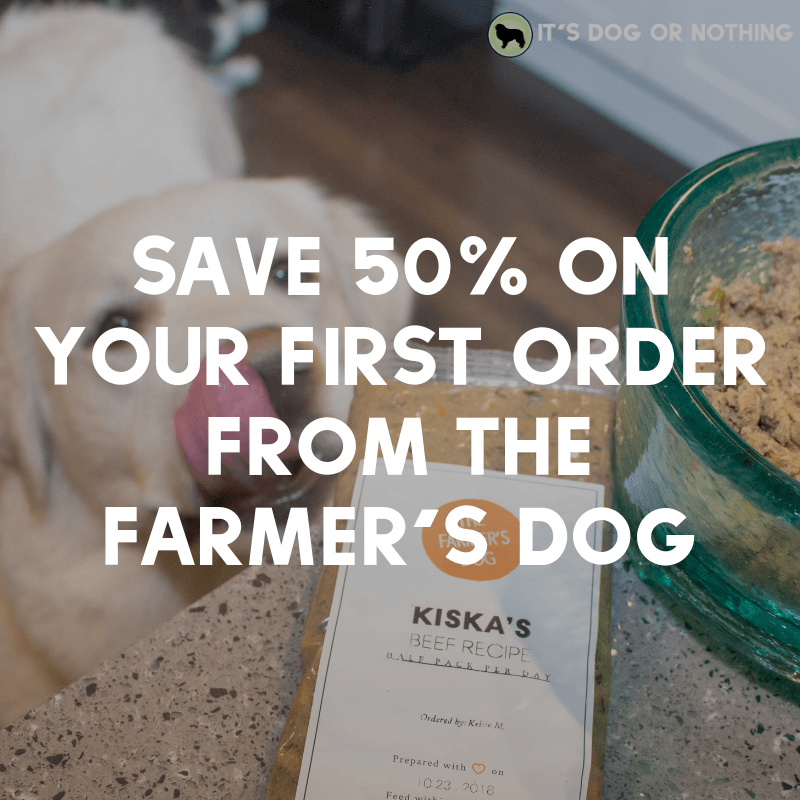 I’ve had to go on so many meds, many as a result of my Celiac disease, and it would be a life changer if Kiska could help. I still get sick randomly, and my docs think it might be gluten sneaking in cosmetics or similar products. If scent trained, Kiska would constantly be able to check my products and my hands to make sure I’m safe. I already feel so much better having her with me – I haven’t suddenly passed out in months. I feel stronger. I feel more confident when I leave the house. I feel like I can *almost* live like a normal person. I’m making progress. That hasn’t been the case for many, many years. It’s Dog or Nothing will remain a Great Pyrenees focused page, but you may see photos of Kiska in her SDiT gear, and I want everyone to understand the reasoning. At only ten months, she’s become my lifeline. I don’t know what I’d do without my floof trio. They all are helping me through this difficult time, and I’m so lucky to have them. Way to go Kiska!!! God will always send us just what we need. Great Pyrenees are one of the most unique breeds in dogdom. I am amazed at the things that they are able to do that are a part of their DNA. I look forward to continuing the journey of “Dog or Nothing” and Kiska. You never know how amazing the Creator is until you live with a dog…especially a Great Pyrenees. Thank you for sharing. Keep up the good work Kiska!! It sounds like a natural evolution and it still is dog related. If you had a sudden desire to write about fashion, politics, gardening, or any number of a thousand other topics it would likely be best to start a new blog that focused on that interest. However, this is still focused on your life with your dogs. It seems a educational and informative topic to write on and to help others who also struggle with needs that may or may not be met with the assistance of a service dog. Great post! I love that you were so willing to be open about some of your struggles. I find it fascinating that we are discovering how our pets can help us with so many different health issues. You hear about the dogs that can smell cancer and dogs that sense anxiety but I have never heard about a gluten dog. Very cool! You have a house full of fluff and love. Good luck. Thank you for updating. 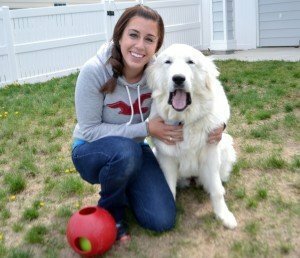 I found your blog a few weeks ago when we adopted a Pyr/St Bernard mix and I was looking for training tips. This dog (Hilda) is unlike the retrievers of my past. She is wicked smart and stubborn and amazing and still so young, right at 11 weeks. I’m looking forward to reading your experience with Kiska and thank you for sharing your personal story. Putting yourself out there on the internet is risky and I appreciate your willingness to paint the broader picture. Just finding your blog and so grateful! You’ve helped me see these beautiful creatures for what they are–amazing (and challenging). It’s been a comfort to me as a struggling-to-adjust dog mom of a year old pudlepointer! Our energetic pup has pushed my buttons more often than not, but keeps dishing out the unconditional love! So grateful for such beautiful and intelligent animals, especially your Kiska! What a sweet God-send blessing to you. Thank you for sharing and I look forward to hearing more about Kiska’s journey. Way to go Kiska!! That is seriously amazing. I really love reading about service dogs and all their different skills, so definitely keep on sharing your journey with Kiska as she progresses in her role as sidekick and service dog extraordinaire! And don’t think twice about it, this story belongs on your blog just as much as training tips and treat discounts ?